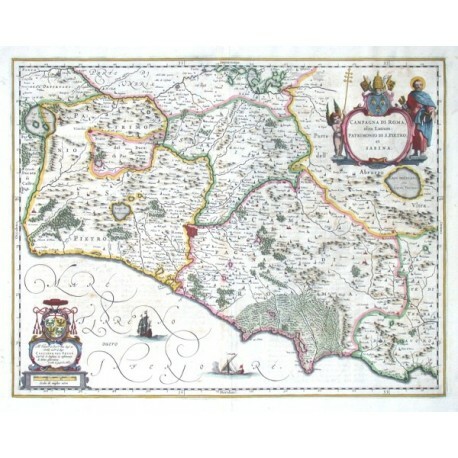 "Campagna di Roma, olim Latium: Patrimonio di S. Pietro et Sabina". Orig. copper-engraving. 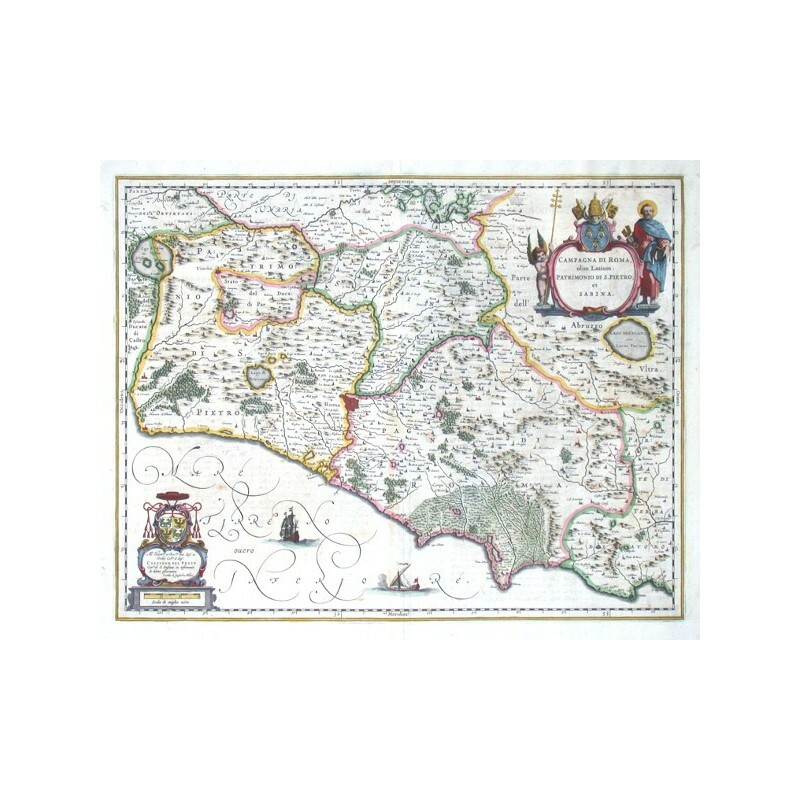 Published by J. and C. Blaeu in Amsterdam, 1641. Orig. old colouring. With figure title-cartouche with a coat-of-arms, ornamental cartouche with the scale of map ("Scala di miglia nove"), dedication (to Cassiano del Pozzo by C. Blaeu) and another coat-of-arms, and 2 sailing ships. 38,5:50 cm (15 1/4 x 19 3/4 inch.). Koeman II, map 7310:2, ed. 2:231 (1641-42 German). - A map of Lazio with the city of Rome, Lago di Bolsena, Lago di Bracciano on the west coast of Italy.